Of the 220 individual members of the Franklin & Marshall College Athletic Hall of Fame, more than one-third earned that honor, in whole or in part, through his performance on the football field. 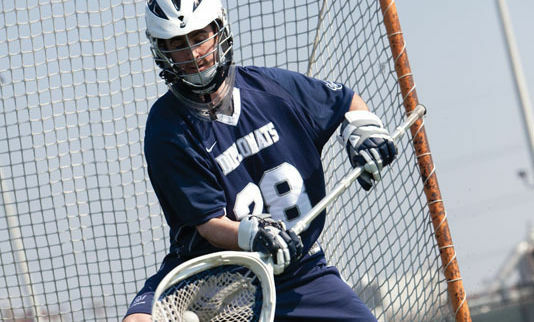 More than two dozen others found their way to Diplomats immortality as members of the men’s and women’s lacrosse teams. Combined, the three programs have produced 152 All-America selections, won 33 conference championships and two national titles, all while thrilling generations of Franklin & Marshall students, alumni, families and fans. More than merely a new and improved sports venue for players and spectators, Shadek Stadium provides the College with new spaces for training and sports medicine, as well as an innovative array of leadership programs for students and coaches. It is the latest and most prominent symbol of F&M’s commitment to national leadership in athletics. It also stand as a lasting tribute to the generosity of the College’s many friends and supporters, led by the Shadek family, who provide the solid foundation upon which the College continues to build a vibrant campus community that values excellence in all areas of student education and personal success. Gilburg field, located at the heart of Shadek Stadium and named for legendary F&M football coach Tom Gilburg, is just one example of how the stadium also serves to honor those who have made a significant impact in F&M Athletics history. Fundraising has commenced for the naming rights to the Coach George Storck Lobby in the Stadium, a venue providing excellent visibility, and the Al Brooks Locker Room, a fitting tribute to an outstanding coach and mentor. We invite you to join the team of visionary investors who already have contributed to the campaign for Shadek Stadium. Add to the rich history, excitement and success of F&M athletics with your generous gift today. For more information, please contact Katie Crowe Wood, director of athletic advancement: 717-358-4834 or katie.wood@fandm.edu. Coach Brooks was a mentor at a formative time in his athletes' lives. He made them great football players, teammates, fathers, husbands and leaders. Dedicating the Al Brooks Locker Room to his legacy will honor his contributions to the F&M football tradition and family. The sporting world has applied many titles to Tom Gilburg throughout his long and successful career: All-Star, All-American, National Football League draftee and player, Head Coach, Hall of Famer. 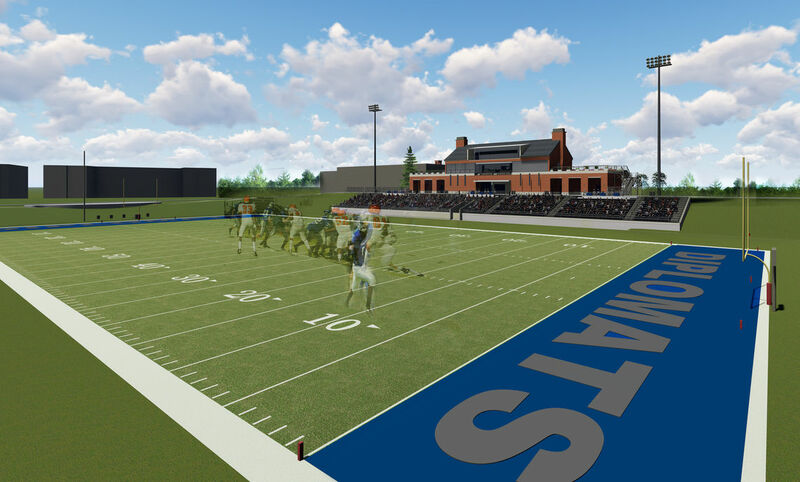 Franklin & Marshall College will soon apply Gilburg’s name to the centerpiece of its new multipurpose stadium. Fundraising has commenced to name the multipurpose meeting room in Shadek Stadium in memory of Coach Ross Sachs and in honor of F&M Men’s Lacrosse's legacy. Coach Storck recruited players, guided them and coached them, and made them better people. To honor and memorialize Coach Storck, the coaching staffs, and F&M Football's legacy, fundraising has commenced for the naming rights to the Coach George Storck Lobby in the Stadium. 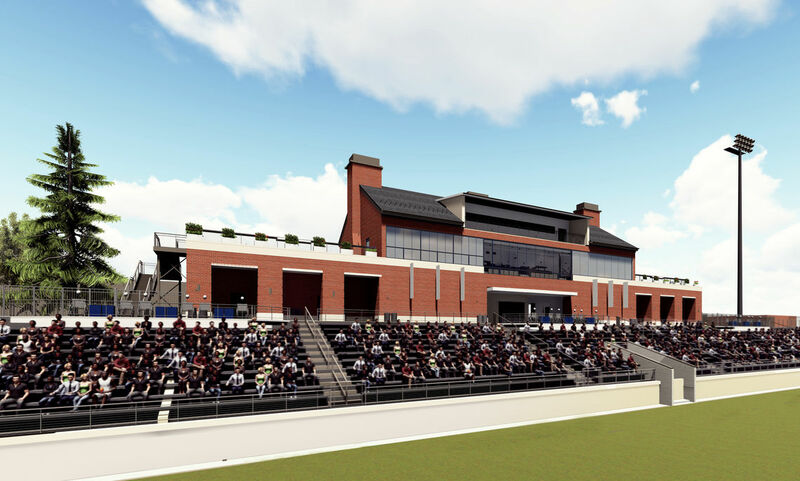 More than 50 of Coach Curtis' players have joined forces to raise the funds necessary to name Shadek Stadium’s Coach Robert D. Curtis Press Box, which will recognize Curtis’ record of success at F&M. He inspired a generation of F&M football players to perform their best not only on the field but in their everyday lives. To honor the legacy of longtime F&M Athletic Trainer Chuck Taylor, fundraising has commenced to recognize the head trainer’s office in Shadek Stadium. Taylor started his career at Franklin & Marshall in 1955 as an athletic trainer, teacher of physical education and live-in dorm proctor, and retired from F&M in 1991. Join our most generour donors and commemorate your support prominently on the stadium's wall of donors. 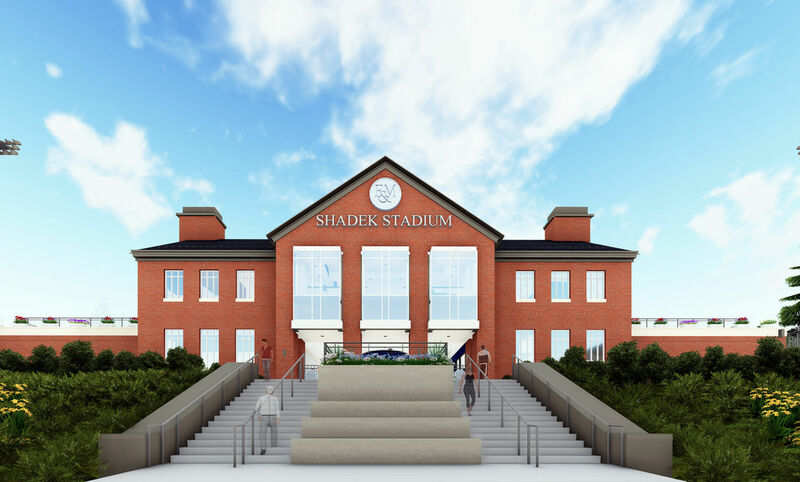 Support Shadek Stadium with a leadership gift. Williamson Circle gifts will be recognized in the stadium. Support Shadek Stadium with a special leadership gift. Sponaugle Circle gifts will be recognized in the stadium. For more information, or to discuss the more significant recognition levels that are available, please contact Katie Crowe Wood, director of athletic advancement, at 717-358-4834 or katie.wood@fandm.edu.